Presentation: "Microwave metamaterials and applications: current status of the experimental and theoretical developments"
George V. Eleftheriades earned his Ph.D. and M.S.E.E. degrees in Electrical Engineering from the University of Michigan, Ann Arbor, in 1993 and 1989 respectively, and a diploma in Electrical Engineering from the National Technical University of Athens, Greece in 1988. In the period 1994-1997 he was with the Swiss Federal Institute of Technology in Lausanne. Presently he is a full Professor and the Canada Research Chair/Velma M. Rogers Graham Chair in the Department of Electrical and Computer Engineering at the University of Toronto. 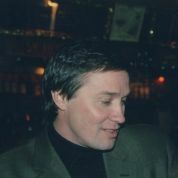 Dr. Eleftheriades received the Ontario Premier's Research Excellence Award in 2001. In 2004 he received an E.W.R. Steacie Fellowship from the Natural Sciences and Engineering Research Council of Canada. Prof. Eleftheriades is a Fellow of the IEEE and serves as a Distinguished Lecturer for the IEEE Antennas and Propagation Society. His present research interests include negative-refraction metamaterials for microwave and optical applications, antennas and components for wireless communications, novel antenna beam-steering techniques, low-loss silicon micromachined components, plasmonic nano-structures, and electromagnetic design for high-speed digital circuits. Prof. Vladimir Shalaev Presentation: "Optical metamaterials and applications: current status of the experimental and theoretical developments"
Vladimir M. Shalaev, the Robert and Anne Burnett Professor of Electrical and Computer Engineering and Professor of Biomedical Engineering at Purdue University, specializes in nano-photonics, nano-plasmonics, and optical metamaterials. Dr. Shalaev has several awards for his research in the field of nano-photonics and metamaterials. He is a Fellow of the American Physical Society (APS), Fellow of The International Society for Optical Engineering (SPIE), a Fellow of the Optical Society of America (OSA). 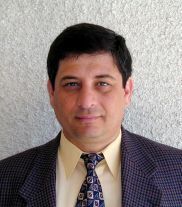 Dr. Shalaev is editor/co-editor for a number of journals and book series in the area of nanoscale optics. He authored and edited 7 books, published 20 invited book chapters, and over 200 research papers.